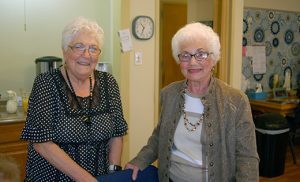 Volunteers Joan Buono and Helen Foti served as tour guides and answered questions during the open house for Saint Peter Parish’s Senior Center last weekend. 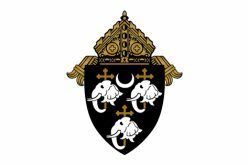 From Mondays to Fridays, 10 a.m.- 2 p.m., the Merchantville center provides spiritual, educational, health and wellness, and social activities for those over the age of 65. 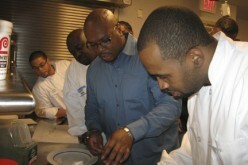 Aaron McCargo, Jr. teaches a cooking class at the Cathedral Kitchen Oct. 14.